Engineered bamboo flooring is the hardest wearing of all natural flooring products. Bamboo floating floor’s high janka rating means it will stand up to high heels and things being dropped on it much better than any timber. Bamboo is also environmentally friendly due to its ability to rejuvenate quickly. Once cut, the roots of the bamboo remain in the ground and will produce new growth. When matured it is ready to be used again. As bamboo is a natural product, each board will be unique. 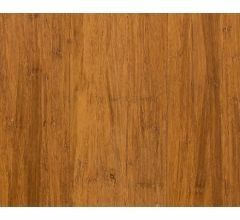 Bamboo flooring comes in a range of colours and styles. Some are stained, some are wire brushed, some have the colour baked through. Bamboo floors are designed to float on underlay and clicks together. It generally comes with a 25 year structural and wear warranty.